I have flown through this, especially considering it had to stay at home this weekend instead of coming to London with me. Strictly catch up is such good knitting time. 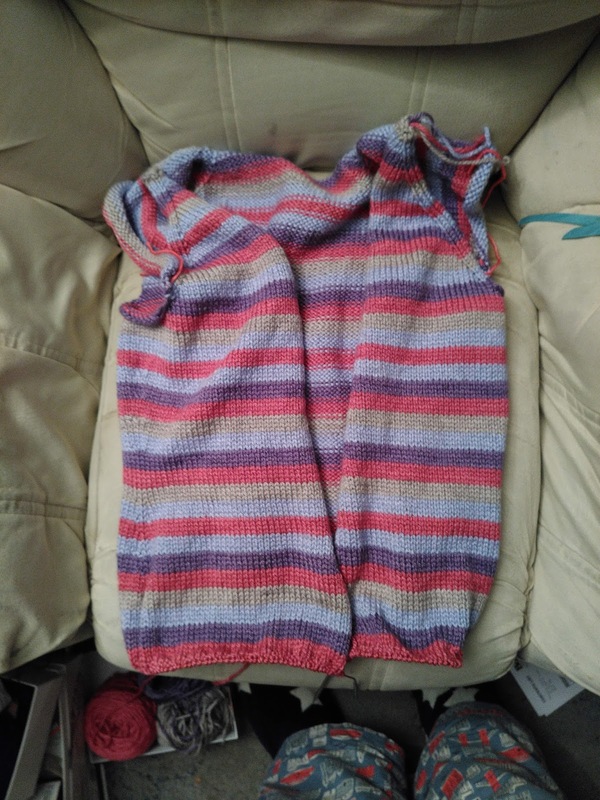 Body almost finished - seven rows of ribbing left, with about a third of the individual skeins left, one whole ball of lilac and just under two balls of pink. Sleeves next! I can't wait to see how many more stripes I can get out of my remaining yarn. I am feeling very hopeful about finishing this inside of three weeks but I have probably just jinxed myself.